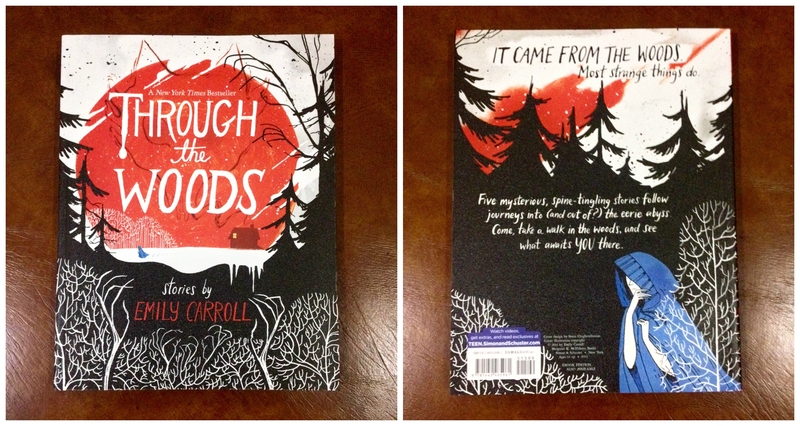 A couple of weeks ago I picked up Through the Woods by Emily Carroll. I didn’t know what to expect. The cover looked innocent enough to be a children’s book and it wasn’t until I read the back cover that I found out it was a horror book. And I’ve never encountered or heard of Carroll’s work before so it felt like a gamble when I decided to get this one. But boy did my gamble pay off. Her stories are extremely entertaining and her style definitely sets her apart. I like how her illustrations are brilliantly laid out on the page with the text, flowing seamlessly from page to page. Her seemingly childlike illustrations give her comics that storybook feel, but this only adds to the creepy vibe of her work. The book features five short stories which are perfect for those nights when you just want a good quick scare. Cleverly written, eerily drawn, and overall a great read. You may also check out her web comics for free at http://www.emcarroll.com/.